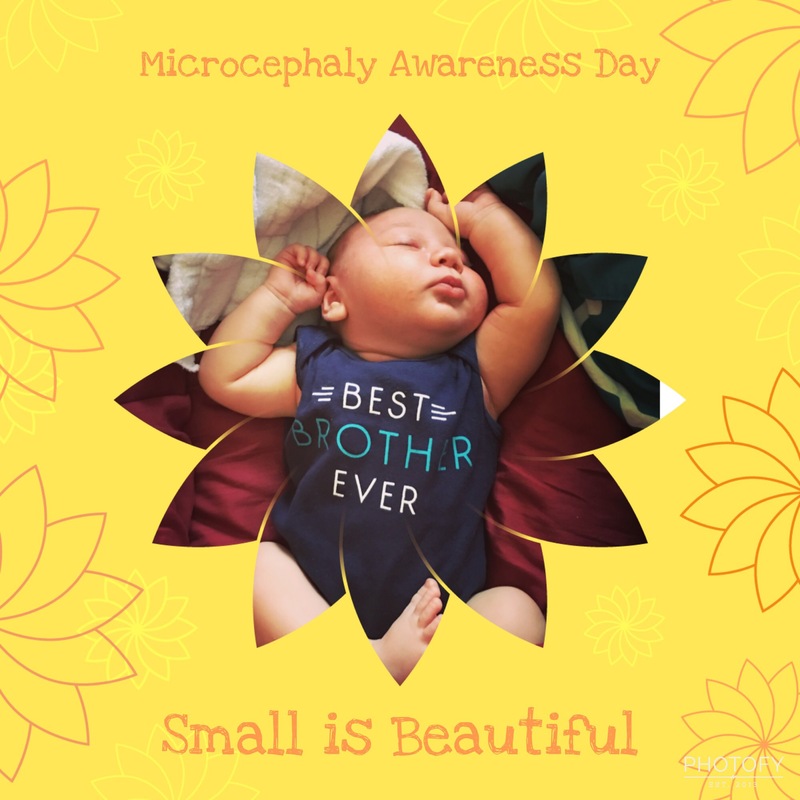 So today, September 30th, is Microcephaly Awareness Day. 3 weeks ago I had no idea this day even existed. I’m not even sure I’d ever even heard the term Microcephaly. And even though we haven’t even begun to scratch the surface of what this diagnosis means for us, I felt like I should blog today. After all, it is this journey that got me started getting my thoughts out into the world anyway. And I had high hopes for this post today, but instead of some profound words just flowing freely, I’m sitting here in front of my computer drawing a blank. We have a baby with Microcephaly. This is the sort of thing you just see people dealing with from a distance, right? This never actually happens to YOU. But it does. For every person sitting out there watching the others with problems that they think they will never have, there’s always the other side of the fence. The other side of the story. There is that person that is in it. That is living it. That problem is there and it is real. And WE are those people now. And I hate that I even just called this a problem, because this isn’t a problem. This is life. This is OUR life now. Our child is not a problem. He is a beautiful blessing. I’ve got a long way to go. Bear with me. I’ve got a lot to learn. I’ve spent a lot of time online today (in between naps and dirty diapers and feedings) looking at people’s pictures celebrating this Awareness Day with their Micro children and I’ve yet to decide if this is a good thing or a bad thing, my looking at all of this. I smile at how strong some people are, and then my heart breaks for the ones I see that are really fighting the battle. The ones whose children can’t walk, or talk, can’t see or hear or do this or that. It’s tough. One thing that is certain though and that I have seen in every story I have read about every family that has a child or sometimes even multiple children with Microcephaly is that those people LOVE that baby. They love their child just like they would ANY other child. And that right there is what’s going to get me through. I love my little angel baby more than life itself already and nothing is going to change that. NOTHING. And love will get us through. Beautiful thoughts; God be with you every step of the way and may God richly bless you and yours. Jen, I see the awesome love you have for Poe and your precious babies. I have complete confidence in you and Poe as the wonderful parents that y’all are .I am here to help with anything at all that y’all need. Please call on me.Love conquers all. And your little family is very loved by me.